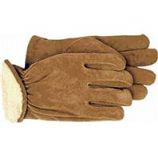 • Textured Latex Coated Palm For Superior Grip. 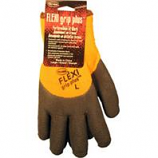 • Flexible Knit Wrist Seals Out Dirt. 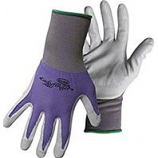 • Ergonomic Design Helps Reduce Hand Fatigue. 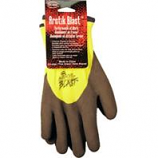 • Excellent Garden and Multipurpose Glove. Pile lined for extra warmth and comfort. Good abrasion resistance. 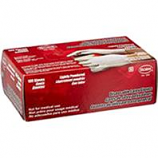 Keystone thumb for comfort and mobility. Durable split leather. Open cuff with shirred elastic wrist. 3/4 dip textured latex palm. High-vis orange stretchable polyester shell. Knit wrist. . .
• Split Leather Palm Patch. Sandy nitrile palm and fingers. Stretchable string knit with rayon/spandex/polyester shell. Adjustable hood and loop wrist closure. . .
3/4 dip textured latex palm. High-vis green stretchable nylon shell. Terry cloth lined. Knit wrist. . Flexible nitrile shell. Nitrile coated palm and fingers. 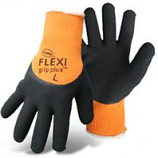 Durable and flexible. . .
Lightly powdered. 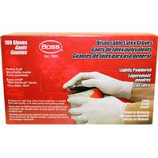 Designed for light duty where hand protection is needed from mild liquids or to keep from getting soiled.. . . .
Protects hands from dangerous alcohols oils solvents and caustics. No powder nitrile. . . .
Sandy nitrile palm and fingers. Stretchable string knit with rayon/spandex/polyester shell. Adjustable hook and loop wrist closure. . .